Checkered Pennant Banner. Gentleman, start your engines! 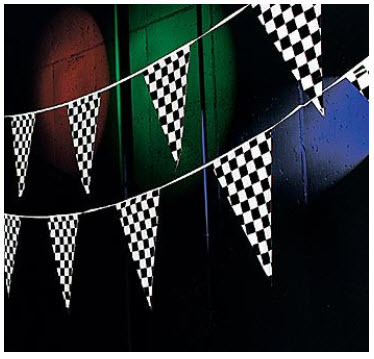 This checkered pennant is perfect for a racing party! Hang the pennant and give plastic cars as party favors for a memorable party! 18" plastic pennants. 100 ft.